By Laura Kostelny | 5 years ago Constructing — or remodeling — a house is the best thing you’ll ever do. It’s also the most complicated, expensive, and time-consuming task that you’ll ever undertake. We present a guide to help you keep your sanity. By Jessica Jones | 5 years ago Regan and Zach Carlile created their fabulous forever home — for now. By D Magazine | 5 years ago Adopt a breakable beast (or two) to create a marvelous menagerie that’s more mild than wild. By Laura Kostelny | 5 years ago Life is but a dream at Kay and Greg Potter’s lakeside retreat. By Laura Kostelny | 5 years ago The whole point of building a custom home or doing a major renovation is to create a space that is wholly personal, which means you shouldn’t be beholden to trends. But in the interest of education, let’s talk about some things that are happening now. By D Magazine | 5 years ago Ranch up your home with these inspired pieces. By D Magazine | 5 years ago Go beyond the pale with these ladylike looks. By D Magazine | 5 years ago The showroom is trading spaces. By D Magazine | 5 years ago Industrial chic reigns at the firm. By Carol Shih | 5 years ago Tara Anderson’s Half Pint Palates makes it easy to feed your children healthy, delicious meals. By D Magazine | 5 years ago Which local spot deserves the cocoa crown? By D Magazine | 5 years ago A massive house with both size and style. By D Magazine | 5 years ago Three bedrooms in Midway Hollow, a Tudor in Kessler Park, or an M Streets home. By D Magazine | 5 years ago You've got options in Bluffview, Preston Brook Estates, or University Park. By Jessica Jones | 5 years ago The Dallas designer and Field Day founder makes mirrors that are more works of art than primping aid. 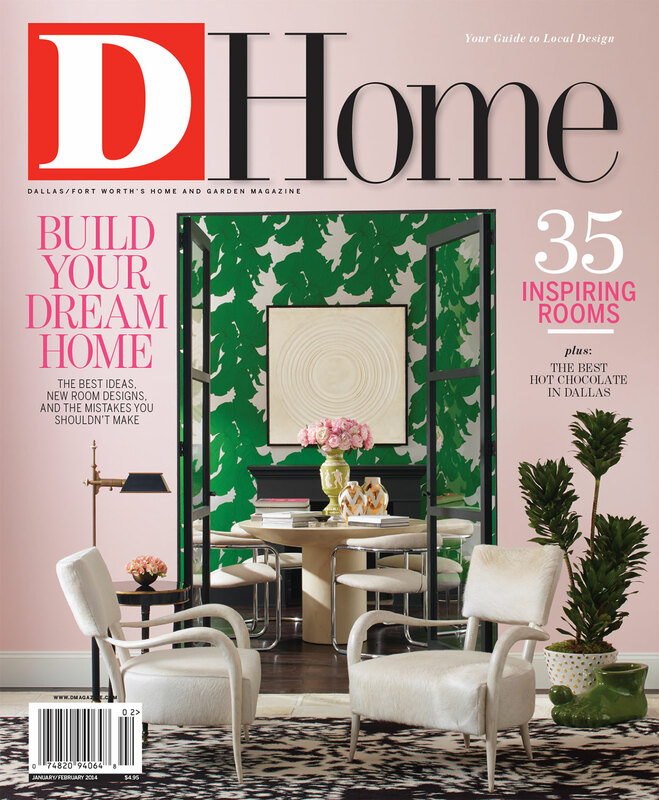 By D Magazine | 5 years ago A hillside Lakewood home, a Mediterranean in Preston Hollow, or a brick house on Beverly.